Because elevators are a large scale item within the overall design & construction of your home, coordination with other trades is critical. The pit slab is typically one of the first items related to the elevator to be completed, and it is important to plan the foundation and pit pour to be compatible with the elevator construction requirements. The framing of the hoistway is the next critical item to coordinate. In order to avoid expensive rework, the hoistway should only be framed off of engineering drawings prepared specifically for your project. Structural rail backing and door centerlines are both critical in addition to construction being square and plumb within the limits of measurement. Electrical service is required to provide power to the elevator drive machine. Several additional circuits are required by Code for service personnel and lighting. 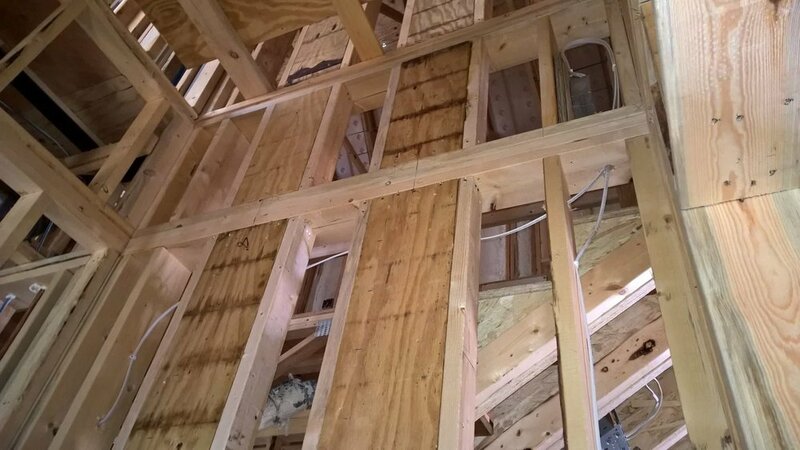 The rough-in locations and fixture requirements must be field-located in order to ensure compliance with state, local, & national safety codes. We will typically coordinate the installation of hoistway doors, including elevator code-compliant door jamb construction, with your trim carpenter. The hoistway doors are an important component of safety and it is critical that we get this right both for safety and aesthetics. Often the trim carpenters will be involved in finishing the elevator interior as well.